Be the first in WA to own this Lexus! Since 2007 Lexus of Perth has donated a vehicle to raise funds for Telethon, and this year is no exception. This year’s prize package includes the magnificent Lexus UX – the first ever urban compact crossover for Lexus – a vehicle not yet launched in Australia! The lucky winner will be the first person to own one in Western Australia. 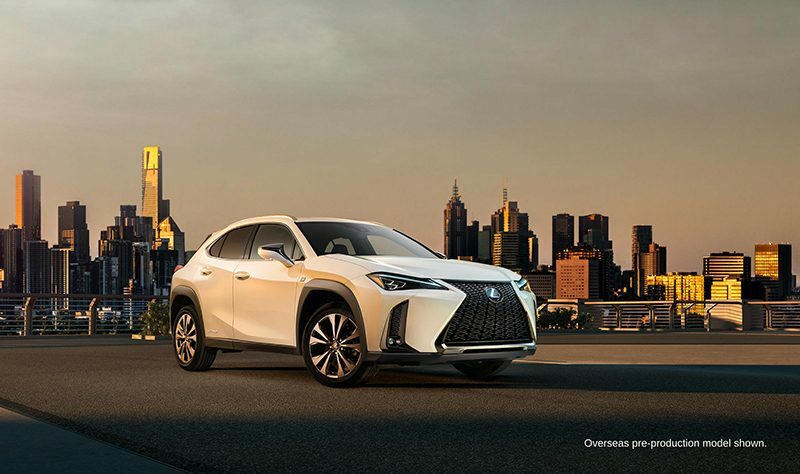 In addition to this stunning SUV, this year’s prize includes dealer delivery, 12 months registration, 12 months compulsory third party insurance, stamp duty, Luxury Car Tax (if applicable) plus 12 months insurance valued at $1,000 from Lexus Insurance. Permit No LS211797018 is held by Channel 7 Telethon Trust. The total prize package is conservatively valued at $50,000 (RRP not yet released in Australia). Pay cash by calling into Lexus of Perth, 359 Scarborough Beach Road, Osborne Park. Mail a cheque to PO Box 1350, Osborne Park WA 6916. NOTE: please make sure you provide a return mailing address so that we can send your ticket to you. I NEED SOME ASSISTANCE PURCHASING MY TICKETS – WHO CAN I CALL? Please call Lexus of Perth Reception on 08 9340 9000, and they can process your ticket order for you. I’VE HEARD IT’S DRAWN AT THE LEXUS BALL – DO I HAVE TO BE THERE TO WIN? No, you don’t need to attend. If you’re not in the ballroom, we’ll call you shortly after the winning ticket has been drawn. This year, the winning ticket will be drawn on Saturday 20 October.